Reviews of the Sony FE 28mm f/2 from around the web. 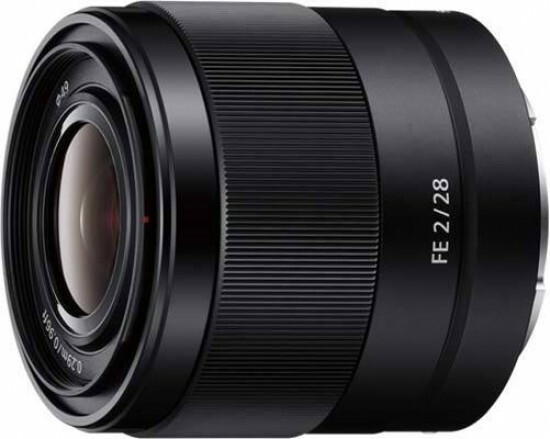 The Sony FE 28mm f/2 is a compact wide angle lens for full-frame E-mount compatible Sony cameras that sports a fast f/2 maximum aperture, a dust and moisture resistant design and a linear motor for silent autofocus during video recording. In this review, we'll take a look at how it performs. Wow. If I were to tell you that I have a lens here that gives some of the best quality I have seen in any 28mm lens, yet it comes in at around $450, would you believe me? I have been shooting with the small compact Sony 28mm f/2 lens and WOW, this guy is pretty incredible for the size, the cost and the lightweight build. In other words, the image quality is WOW!!! But! It is not perfect and has flaws, but these flaws are to me, nothing to worry about. Sony has been hard at work expanding the library of lenses for its full-frame mirrorless camera system. About a year and a half has passed since the introduction of the Alpha 7, and more than a dozen lenses are available to cover its full-frame sensor, including autofocus lenses from Sony and manual focus choices from Zeiss. The FE 28mm F2 ($449.99) fills a sizable gap—it's the first prime lens with such a wide field of view, and it's also the most affordably priced lens in the lineup. The Sony FE 2/28 is the first affordable Sony FE prime and in this review I share my experience after using my own copy for about a month on my Sony Alpha 7.